Deciding to naturally enhance your breasts is usually a private decision that is no one else’s business but your own. Purchasing our Bust Bunny capsules doesn’t need to lead to stress and anxiety. You can feel comfortable knowing your order is going to be delivered in unmarked packaging and boxes to protect your personal privacy. The sole identifying marks on the package will be your mailing address and ours. Using our discreet shipping, there will be no sign as to what’s within the package. This means your delivery person won’t be aware of what you ordered, and neither will your neighbors or family members who retrieve the mail. There’s no reason to be humiliated and you don’t need to dash to intercept the mail before another person recognizes what you ordered. Your secret is secure with us. Rest assured — all data taken from each customer will be securely stored on a private encrypted server to ensure all customers are safe knowing their information is private. Bust Bunny will not sell or share your private information amongst any third party source. These non-discreet messages are usually equally as uncomfortable simply because it’s addressed to you personally and may perhaps contain revealing photographs. Bust Bunny guarantees that discreet shipping includes no unpleasant mailing will be delivered to your doorstep. We also don’t sell your email or spam you at all. Your information is backed up in our secured database. 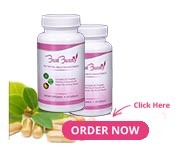 Therefore, if you’ve been searching for all-natural breast enhancement supplements that really work without having the discomfort of entering a shop to buy it or receiving a package where the community will be aware of what you bought, choose Bust Bunny capsules. We take your privacy extremely seriously. Also, we guarantee worry-free credit card statements! Bust Bunny has made it so your credit card statements descriptor is just as discreet as our packaging. This way you do not have to worry about your significant other and or your parents seeing your purchase from Bust Bunny. We want to make this as simple as possible for you and have thought of every situation that may be a concern of yours.